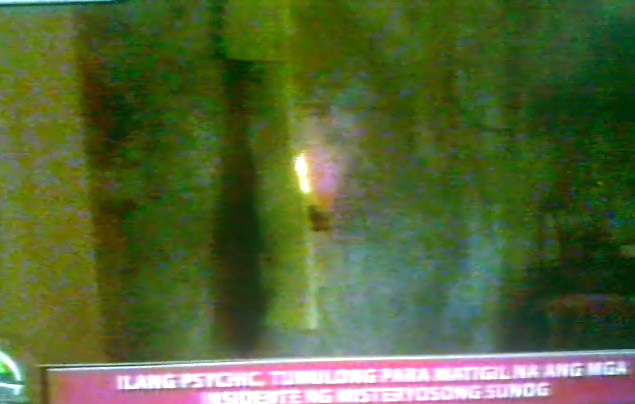 Before anything else, I apologize for writing about the mysterious Cuenca fires for the third straight post. 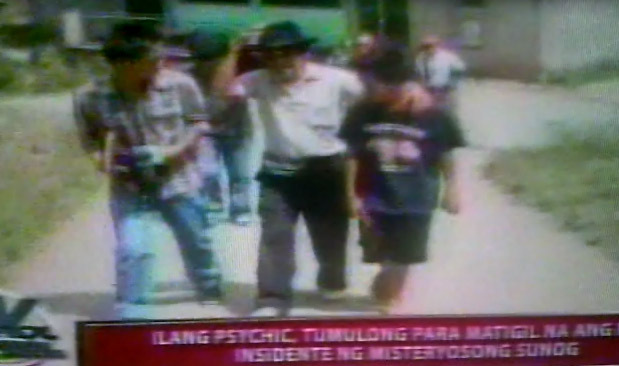 I am so fascinated by the mystery and I applaud TV Patrol Southern Tagalog for sticking with the story and providing updates. It sure beats watching an episode of Wako-Wako. Life in sitio Mambog in Cuenca has certainly changed over the course of the past week after a local lad set fire to some brush in a dump or something. Engkantos, or so the story goes, were disturbed and have been taking their revenge by burning objects inside homes in the neighbourhood. As such, life in the sitio has been turned upside down. Clothing has been taken out of cabinets lest they get burned; floors and ceilings are kept damp 24/7; and water is made conveniently available in case something starts combusting again. 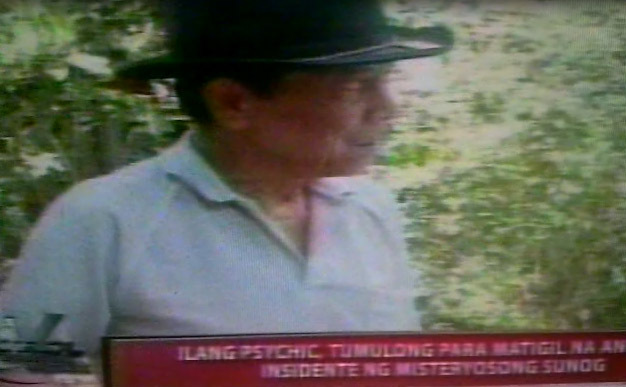 “Ay hindî na hô nakapagtrabaho ang aking mga bayaw, ang aking mga kapatid,” a local resident told the news crew. The spontaneous combustions, he also challenged a university professor interviewed the other day, is not caused by bacteria. 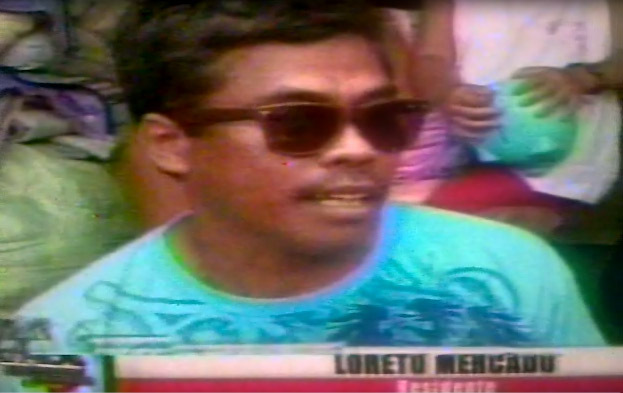 Ang taray ng mamâ… But he had a point… It is one thing to cite some scientific theories from within the comforts of one’s office; and another to live in distress as residents of the sitio have apparently descended into. Personally, I do not think that the combustions are caused by bacteria either. A few medicos and albularyos, the news crew reported, had already offered their help to drive away what are generally believed to be engkantos. None of these, however, were successful; and the spontaneous combustions continued. 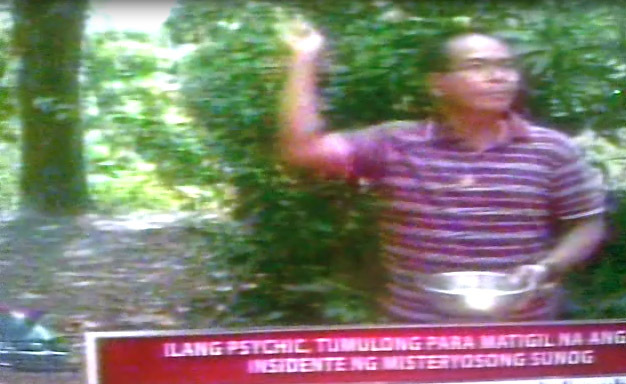 Today, the news crew arrived with a group of San Pablo-based psychics led by Mang Joe. The latter, or so he said, had previously engaged in battle against an engkanto in Antique a few years back which was similarly causing spontaneous fires. He successfully drove the engkanto away. Soon, Mang Joe and company proceeded to go to battle. Their armoury consisted of salt, water, a candle and a crucifix. Standard albularyo stuff. Mang Joe then started whispering incantations into a fistful of salt and started the ritual. He and his companions then proceeded to sprinkle the affected houses with the saline solution and posted strips of tape with orasyons written on them on top of doorways to prevent the engkantos from entering houses. Then he exposed his source of power, “Kayâ ako nananalo, naniniwalâ ako kay Jesus Christ!” Amen! Albeit, a young priest interviewed was not just a bit skeptical. “Everybody can claim na siya’y magaling sa ganito...” In fact, I was thinking, if this was a demon at work then an exorcism was in order. The Church, of course, has exorcism rituals. That said, the Church is extremely cautious about using these very rituals. However, I would not be so quick to scoff at albularyos or psychics like Mang Joe. The incantations, for instance, are ancient knowledge handed down from generation to generation. I used to have an uncle, for one, who was taught Latin incantations by a godfather who was a manggagamot. I don’t know if he was simply pulling my leg – I was still a small boy – but he used to tell us this story about his godfather whispering some incantations into a farmer’s open wound and the cut mysteriously and spontaneously closing itself. While I will not vouch for their efficacy as rocket science, neither will I readily dismiss them. There are just too many things even in this day and age that defy logic. In other words, if Mang Joe can make the mysterious fires disappear, well and good! I will not ridicule him for trying. At least, he is trying to help!